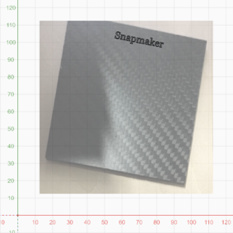 This is the beta version of Snapmakerjs v2.5.2, we’ve made some changes on Laser greyscale mode, added CNC greyscale carving and a little widget to help you to align images and background. Please check it out and any feedback is appreciated! Added Camera Aid Background to accurately place the image to be engraved on the material. Please refer to the below instructions to use this feature. Greyscale: Added Movement Mode. If Line is selected, you can set the work speed 3-4 times faster than before. 3D Printing: the bug that the model‘s position is incorrectly determined. 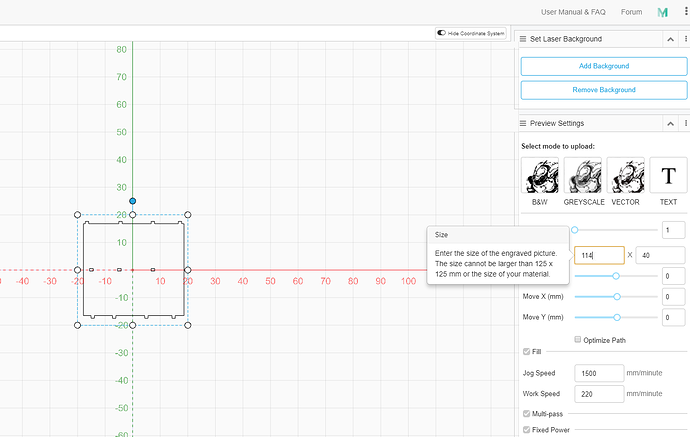 Laser: the bug that the position of the preview image or the generated G-code is incorrect. 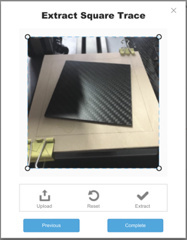 The Cameral Aid Background feature enables you to place the material and the image to be engraved together and adjust their position on the software by using a phone with a camera. It helps to engrave the image on your material in a much more accurate way. Place a piece of paper or wood sheet on the Engraving & Carving Platform. Set the work origin as how you did before. Go to Laser G-code Generator > Set Background. Click Add Background. 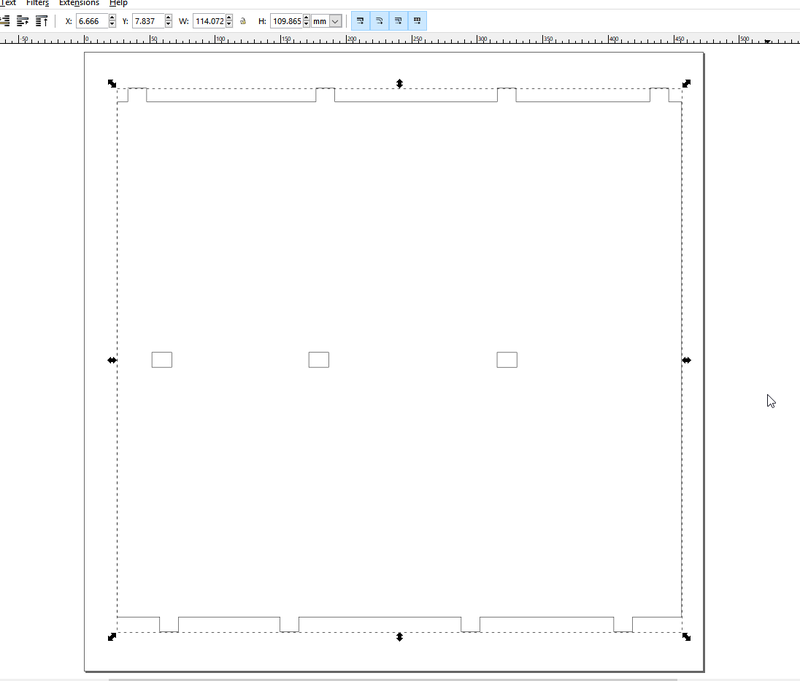 Print a square to locate your material. a. Set the Side Length and Power of the square. The square should be larger than the material that will be engraved. Click Engrave Square. b. After the square is engraved, place the material inside the square and take a photo. The four corners of the square must be in the photo. Also, to achieve the best result, try to keep the lens and the heated bed parallel. c. Send the photo to your computer. d. On Snapmakerjs, click Next. Click Upload to upload the photo. Move the four corners of the dashed box to overlap the four corners of the engraved square. e. Click Extract and then Complete. Now the printer knows where your material is on the platform. Add the image or text you need to engrave on the background and complete the settings based on your needs. Click Generate G-code and then Load G-code to Workspace. Set the work origin only on the Z direction again so that the printer can engrave on the surface of the material. 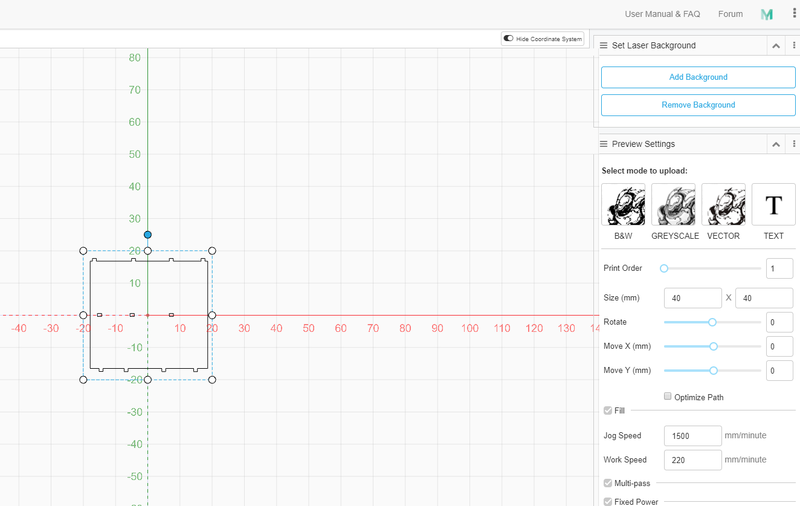 Click Z > Zero Out Temporary Z Axis to save the new origin. Note: If you use the USB disk to engrave, please make sure you set the work origin in Snapmakerjs instead of on the touch screen. Set Work Power and start the engraving. Hi @doug. Our recent Windows versions are certificated. Unfortunately but it expired few days ago so I think it’s ok to have our beta version without certificate. When we come back from holidays and Snapmakerjs comes to its official release, it’ll be act as normal. The size of imported vector SVG into laser engrave is another then in original draw. Lost text which was in imported files SVG. Problem with englare small draw for example sqare 10mm x20mm make on document 100x100mm. I want englare them to 20x40mm. But I can only to enlgare them x1,25 only. Document size can’t be biger then 125x125. Sorry my bad. I mis-copied the forum style of my last post. Can you please ask the guys to fix this issue which has been happening since 2.5.1 with vectors? If a vector is exported from Coreldraw or from inkscape, the original size is not kept when importing in Snapmakerjs. 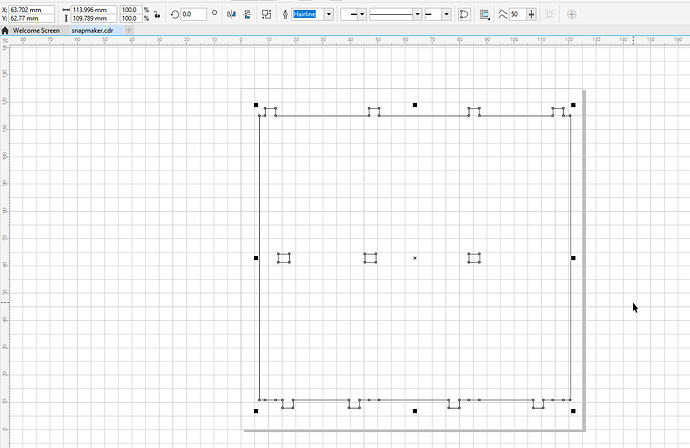 Example: I’ve exported a vector with document size 125mmx125mm and the vector size is 113.996mmx109.789mm in Coreldraw. The same vector is them open in Inkscape and the size is 114.072mmx109.865mm, which is still ok. However, when importing in Snapmakerjs the vector size is 40mmx40mm. If I try to resize it to 114mmx109mm, I can’t as Snapmakerjs insists in keeping the width and length the same, so if I input 114 as width, the length is automatically recalculated as 114mm, making it 114x114. If I change the length to 109mm, Snampmaker changes everything to 109, making it 109mmx109mm. This is very frustrating. I’ll have to go back to 2.5.0 to avoid these issues. I’m attaching some pictures and the vector to test. Hello, I’d like to try these new features myself. Did anyone make something successfully using these new features, CNC Relief Carving, Camera Aid Background, or Greyscale Image Line to Line Engraving? It will be great to see any showcase here! Thank you.